I was never a fan of omelettes – until I had one at Mickey’s Diner in St. Paul, Minnesota. I’ve eaten a lot of flat, dry omelettes that are white and yellow in color (due to the lack of beating the eggs well). 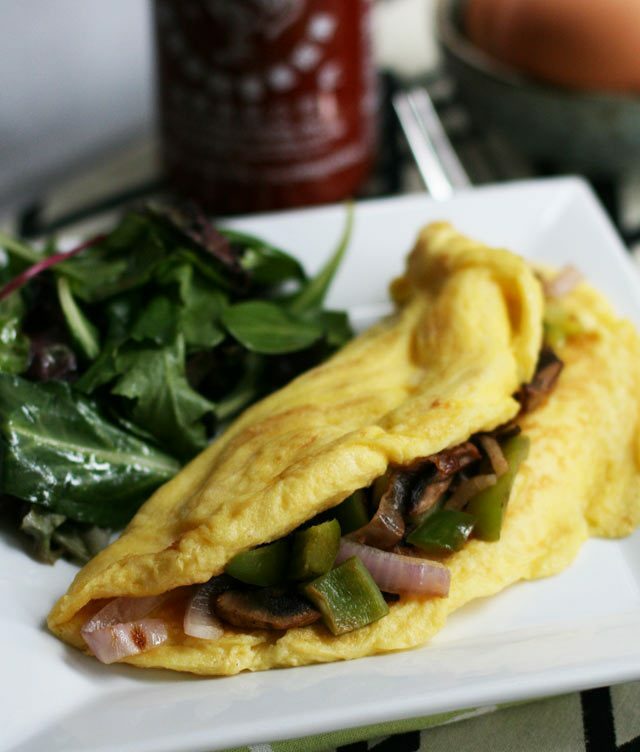 The only saving grace for one of these omelettes is lots of fillings, cheese, and salsa on the side. Thanks to Mickey’s, I’ve discovered how great an omelette can be. For me, this means light, fluffy, buttery, and flavorful. There are a lot of recipes out there promising a fluffy omelette. I’ve seen recipes that call for baking soda or baking powder. I’ve also seen time-consuming recipes requiring you to beat egg whites to stiff peaks, before folding in beaten egg yolks. But these steps are not necessary. The key to making a really fluffy omelette is using a blender to whip the eggs. This adds air to the eggs, making them frothy. The frothy egg batter yields a light, fluffy omelette. Mickey’s Diner is a St. Paul landmark. It opened in 1939, is open 24/7, 365 days a year. My preferred time to go is late at night, when the staff are entertaining and the clientele diverse. On any given night you’ll see tourists, locals, families, young people, old people, drunk people – all types. They serve typical diner fare – breakfast items, burgers, fries, malts, shakes, etc. – as well as some original menu items such as mulligan stew, bean soup, and homemade baked pinto beans. They also make the best omelette I’ve ever eaten. From what I’ve observed sitting at the counter, their method is simple: Beat the eggs using a malt machine. Fry the eggs in real butter. Fry the toppings separately. Fold the omelette in half and slide in the toppings. If you’re in the Twin Cities, do yourself a favor and go get an omelette from Mickey’s. If you can’t, make this copycat recipe at home! Scrambled eggs! How to make perfect scrambled eggs. Eggs are one of my favorite budget-friendly food items: Get more cheap and delicious egg recipes. Place eggs, cream, salt, and garlic powder in a blender. Blend for 2 minutes, until the eggs are completely uniform and frothy. On my Blendtec, I run the "sauces, dips, dressings, batters" cycle twice. If you are adding toppings/ingredients, fry them in a separate pan. 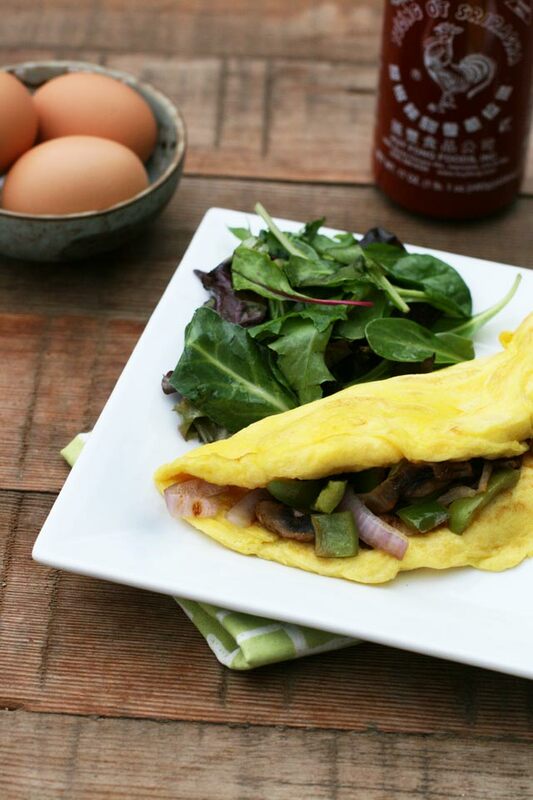 When the omelette is cooked, place on a plate, fold in half, and place toppings inside. Thank you for the ‘perfect omelette’ tip! It was helpful. Also brought back memories of the late 60’s Mickey’s Diner. I usually just whisk the eggs for my omelettes. I’ll definitely try using the blender next time. I like my omelettes light and fluffy, too. Can’t wait to try it!